Do you struggle to keep on top of the clutter? Does it feel like organization and productivity are foreign concepts, somehow meant for other people? Are you constantly having to hunt for things? Have you ever bought something you knew you had because you couldn’t remember where you put it? 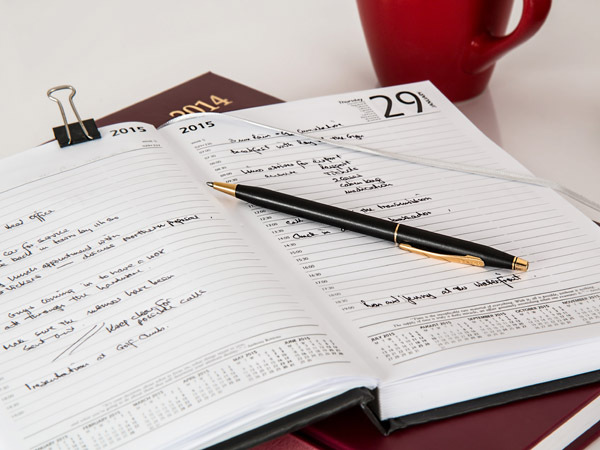 Have you missed important meetings and events because you either double-booked yourself or you “just forgot”? Have you tried to get organized, spent money on systems and tools and apps, and you’re still struggling to stay on top of things? Do your days seem to come and go while the projects you have planned don’t seem to ever get any closer to completion? Let me help you get a handle on organization. I will help you create productive habits and routines that will end your overwhelm and turn your life from stressful to successful. With more than 20 years of experience at organizing and teaching others to be organized, I can help you. I’ve done everything from setting up workflows that actually work to creating uncluttered closets to cleaning out a hoarder home. My approach to organization and productivity is a personalized one. We’ll work together to discover the tools and methods that will work best for you and create a system that reflects your personality, your life and your business. I am available for business organization solutions, whether it’s decluttering, storage and space planning or productivity consulting and training. I am also available to speak to your company or organization on a variety of organizational and productivity topics that cover both home and business solutions. Are you ready to let go of the frustration and live the life of your dreams? Here’s how to begin. Step 1. Send me an email using the form below. Step 2. Watch your email for questions from me. Before we schedule an introductory meeting, I need to learn about you and what you hope to get out of working with me. It is essential that I receive your completed questionnaire before we meet. Step 6. Then we’ll get started! When you commit to mentor with me, I’ll give you the exact steps for getting started. If you decide not to work with me or if we aren’t a right fit, I’m happy to share other resources to help you get what you need.